I have been so busy recently that I have been neglecting blogging and it makes me sad. But I wanted to do a quick catch-up of my life lately! I’ve been settling into my new apartment quite well; I love having my own space and a nice big kitchen of my own! 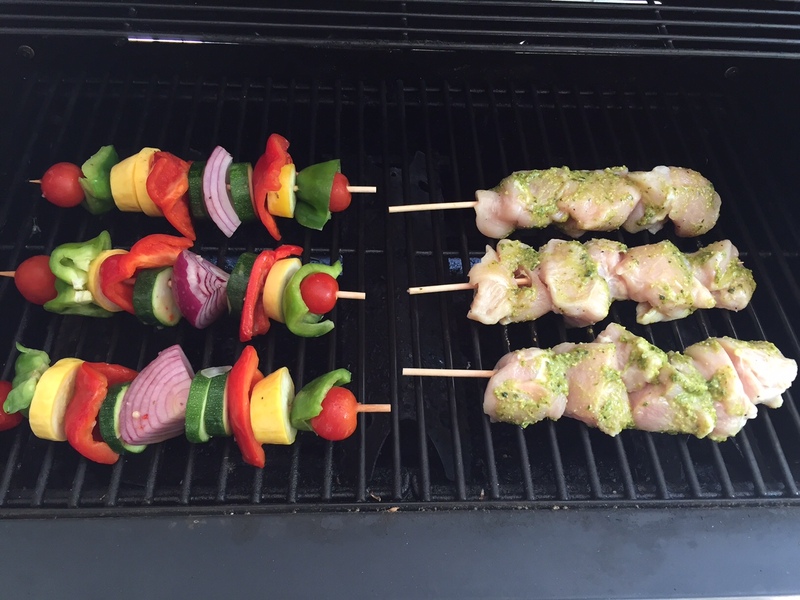 I had a friend over on Sunday and we fired up my grill for the first time. I’m not going to lie, I was nervous to use this grill for the first time. It was left by the previous tenant, and while it looks pretty new, I had this fear that I would turn the gas on and light it and it would explode. I have lots of irrational fears like this. But I decided that I just needed to try it and it would all be fine. 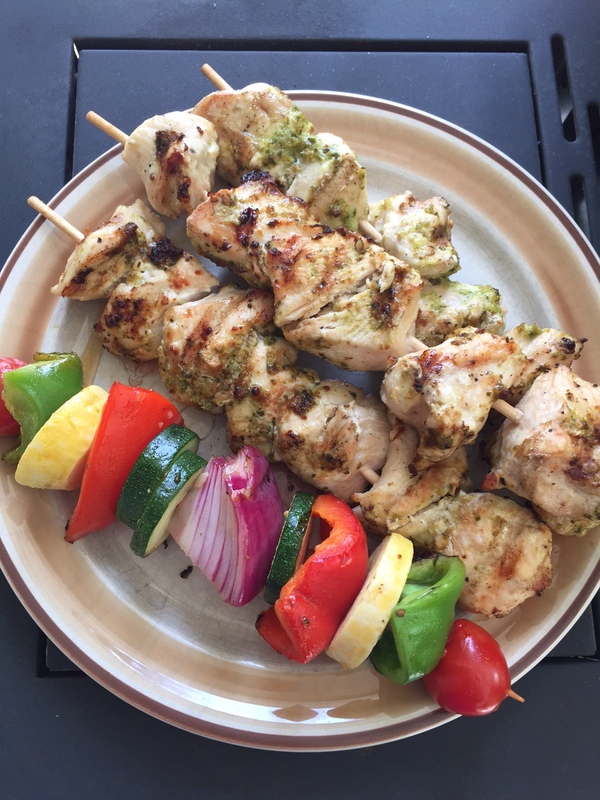 I told my friend I wanted to grill us some lunch, so we made some chicken and veggie skewers…so yummy. I brushed the chicken with pesto and it was delicious. Oh and the grill didn’t explode (of course it didn’t). Now I can’t wait to start grilling all sorts of things! I also ran my first 5K race on Saturday! It was the Narragansett Summer Running Festival, which was held at Stonehill. I signed up for it awhile ago because I wanted to challenge myself – I’ve never run a full 5K before, just a mud run (which is basically half running, half climbing and getting dirty). I generally despise running, but I wanted to push myself and I figured running around my alma mater would be a nice distraction from the actual running! Going into the race, I had only run about 2.5 miles outside, so I was nervous I wouldn’t be able to run the whole 3.2 miles. However, I found it to be a lot easier than I thought, and the pretty campus and a great playlist of tunes certainly helped. I ran it in about 36 minutes, so my timing was pretty good! I won’t say I love running now, but perhaps I could be swayed into running another 5K. I enjoyed the rest of the weekend staying on campus and pretending to be a college kid again!